Landlord Suspects New Tenant is a Fraudster: Now What? A landlord describes how a tenancy turned sour after only a few days. The tenant applied for the vacancy using email. She claimed to be a working professional. However, as soon as she moved in, she apparently applied for government assistance and stays at home all of the time. A boyfriend also shows up every day. The tenant paid for the first month’s rent and a small deposit. The tenant refused to sign a lease, or to provide a phone number. Fearing that the tenant and her partner may be fraudsters, the landlord served a 30-day notice. The tenant’s boyfriend responded by threatening to sue the landlord unless the tenant is given two months free rent and the deposit back. Unfortunately, once a tenant is in possession of the property, it’s difficult and costly to get them out. The landlord will need an order for possession. That means filing for dispute resolution. While that seems simple enough, in reality, a landlord has an uphill battle when it comes to giving a tenant the boot. Dispute resolution is a legal process, so every rule of procedure must be followed precisely. Notice must be in the proper form, served within a precise period of time, and in the method prescribed by law. One mistake and the case may be dismissed. Then, the landlord is back to square one — only now with angry tenants still living at the property. 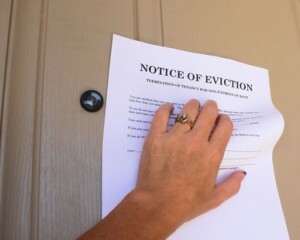 In order to apply for an eviction order, there must be a legal dispute. That means the tenant has broken the lease, or broken the law. Suspicions or personality conflicts will not be enough to win the case. Without a lease agreement or rental application, it is going to be difficult to show that a tenant — even a fraudster — has done anything wrong. Tenants who threaten the landlord often follow through, so those threats should be taken seriously. While bad tenants may not file for dispute resolution — probably because repeat offenders will be recognized by the tribunal — they may become vindictive, like calling in building inspectors to report the condition of the property, or exploiting other vulnerabilities like lack of permits. One way or another, these tenants will make life miserable, and the property unprofitable, for as long as they can get away with it. When landlords are confronted with nightmare tenants, it is good to take a moment and ask, why me? There may be a reason, and it’s best to avoid history repeating. For instance, professional scammers tend to look for easy targets. They are masters at finding the right victims — landlords who are not treating the rental like a money-making enterprise. Every landlord, whether renting a room in their own home or managing multiple properties, must treat each lease like a business transaction. We all protect our private property from theft by locking our doors and refusing to give access to unvetted strangers. Landlords must do the same with their rental properties. Be mindful of the language in the rental ad. A lack of organization, no specific terms, or too much flexibility are all hints that the landlord may be a good target for a scammer. Firm statements regarding terms like price, length of lease, and house rules, along with a warning that the applicant must pass a tenant background check, repel bad tenants. Prequalify the applicant, preferable over the phone. Record the answers to the questions. The tenant may be fishing at this point, and may use a different name, different phone number or different story than what they present at the tour and again on the rental application. Good property managers, like good detectives, may ask the same question more than once in different contexts to see if the answer remains the same. Scammers can get caught up in their own lies. One important prequalifying question is how many adults will be living there. Watch for any change in that story. Tenants with bad rental history — problem tenants who’ve been caught in the act — may be forced to piggyback on someone else’s application. It’s important for the safety of others and the property to screen all adults who will have regular access to the unit. For more on prequalifying applicants, see our previous post, How to Prequalify Rental Applicants. Meet the tenant in person. Never rely solely on electronic communications — that’s far too easy to fabricate. When meeting the tenant the first time, ask for a photo ID. It is best to meet off-site. Require a completed rental application from each adult who will occupy the property. This information is crucial in deciding whether the applicants are qualified, and the application includes the consent necessary to run tenant screening reports. Without asking for this information, the landlord is encouraging a bad tenant. If it is easy for the scammer to cross that hurdle, the bad tenant will be emboldened to try for more concessions. What’s next? They’ll demand that you pay them rent…. A written tenancy agreement is an absolute necessity when it comes to managing a rental property. The lease also serves as evidence in the event the case must go to dispute resolution. Sit down with an attorney to go over the lease provisions before renting to the first — or next — tenant. Landlords need to understand their rights and responsibilities, too. A good example is being advised that your local rental laws prohibit collecting a security deposit. A good rule of thumb in property management is picking tenants with good credit. Good credit comes from good payment history with other creditors. 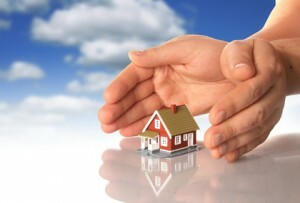 Additionally, tenants with good credit will want to protect that valuable asset. That’s what makes Reporting Rent Payments such a good incentive for on-time rent payments. By signing up at LandlordCreditBureau.ca, TVS landlords can report monthly rent payments to the tenant’s consumer credit report. That’s one more reason for tenants to take the lease agreement seriously — and one more way to scare away fraudsters. Im sorry this landlord has let in a bad tenant. In ontario the rental laws are widely thought to be very much in favor of tenants. This means once a bad tenant is in, its very difficult, stressful and expensive to remove them. I will NOT give the keys to the new tenant until I have first AND last months rent AND a signed lease. I do not “work” with tenants regarding the requirement for first and last upon signing the lease. The lease must be signed with in 2 days of acceptance and the deposits MUST be paid in money order, certified cheque or cash at the time of lease signing….No if ands of buts. As governements become more desperate to house tenants, the rental rules become more favorable towards tenants. Landlords must become more careful, thorough and stringent (within legal requirements), when screening applicants or face serious financial hardship and stress with bad tenants. And of course, I ALWAYS do a credit check on applicants. I now require a minimum of 700 for a credit score. Lady X rented a house on my street. She was evicted after the utilities were turned off and had not paid rent for several months. She owes people loan money also which will not be paid back. This person has several court judgements against her and used someone else’s social insurance (SIN) number and date of birth to get the lease. She has no regular income and would not have qualified to rent the place. Now she is threatening to sue neighbours because information spreads. The landlord is a small landlord. I have heard so many small landlord horror stories. She has gone to rent somewhere else I presume. I trusted her at the beginning but then saw red flags.